When it comes to squatting and all of its variations, I can gladly say that there probably isn’t one that I don’t like. Squats are awesome for too many reasons to list here and that’s exactly why I love them so much! At Dynamic Sport Performance, we have been using Marty Gallagher’s squatting protocol for the last year or so with great success. For those that don’t know, Marty Gallagher is a multi-time national and world champion in Olympic lifting and powerlifting. Also, Kirk Karwoski and Ed Coan, two of the greatest squatters of all time, trained and were coached by Marty during their epic careers. First, we teach the ultra deep-no weight paused squat. I like to use the TRX for this one. It really allows those that have a lot of tension in the thighs to get deeper into their squat while maintaining good alignment. Also, the TRX provides stability for those that have trouble with balance when trying to perform a deep squat. We recommend 3 sets of 20 repetitions with perfect technique before moving on. Next, we go into the kettlebell ultra deep goblet squat. For many, this is one of the most versatile and user friendly squat variations. 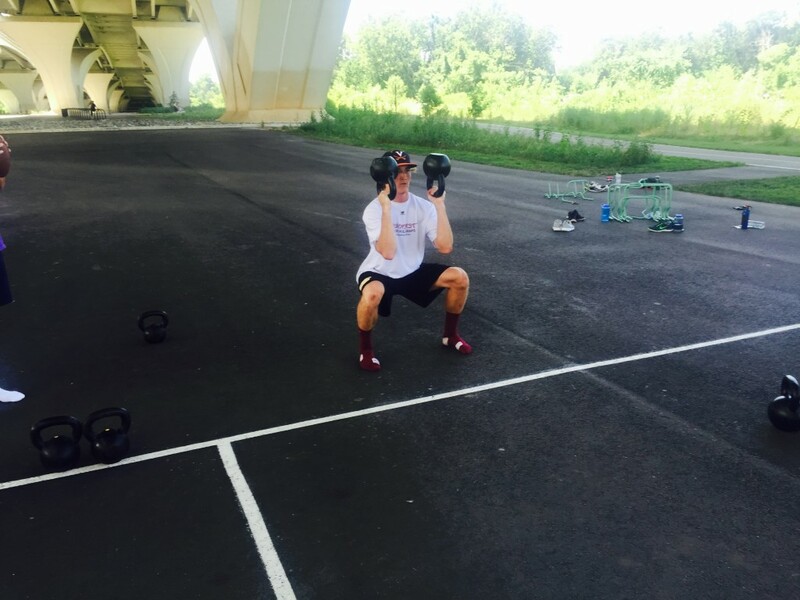 The goblet squat is a safe way to load the squat pattern for beginner’s. If I hadn’t stumbled upon the greatest squat of all time, this exercise could easily be #1! Lastly, we progress to the kettlebell double racked squat. To me, this variation becomes an option only when the exerciser has demonstrated above average competency in the other two squat examples. The jump from the goblet squat to the double rack squat is not an easy one. Core strength and mobility are often the culprit to why so many people are slower to master this squat over the others. I can remember at least 5 people that were told not to squat when exercising before joining DSP. Thru Marty’s protocol, some helpful coaching from Mike Davis DPT and smart implementation of mobility and stability drills before all of our workouts, I am proud to say that all of those mentioned can now squat well below parallel, pain free. Now for why you’re here!! I think us kettlebellers have stumbled upon what I believe is the best squat ever, the Double Kettlebell Bottoms Up Squat. Getting someone to squat correctly is one of my greatest joys as a coach. I’m happy, the client can’t believe what’s happening and they think I’m one sharp cookie!! This particular squat variation, if taught correctly gets us to the ultimate goal of squatting properly better than any other exercise or drill that I know of. It has all the benefits of the goblet squat plus much more! The first phase of this lift is to perform a bottoms up clean (BUC), which sets the table for the rest of the exercise. Get into hike position and clean the kettlebells to the rack position with the kettlebells being held upside down. The BUC, is one of the best ways that I’ve found to help a novice understand the concept of controlled tension. Positioning is of utmost importance. The wrist must be neutral while the forearm is vertically aligned with the elbow tucked into the ribcage. This ensures good alignment and brings the lat into the mix to help with stability. Each of our clients must be able to hold this position for at least 10 seconds before we’ll allow them to squat. A squat with a quick collapse will not work here, the movement must be controlled. The video below illustrates the concept of controlled tension. Pay attention closely and you’ll see what happens when you rush a repetition. Other than that, everyone else in the video demonstrates what a BUS should ultimately look like. Many people will probably say that this is an advanced exercise, but I’ll have to disagree. While the bottoms up position is a skill to be learned, I have seen client after client perform flawless squats with something as light as 10 pound kettlebells being held in this position. Here’s why this is happening. 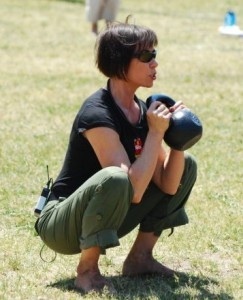 The position of the kettlebells encourage the lifter to squat with a tall spine and controlled mobility in order to perform a successful repetition. 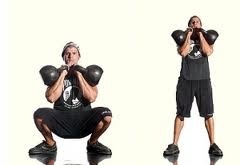 In Kettlebells From the Center-Dynami, Gray Cook and Brett Jones label the Bottoms Up Squat (BUS) a test of symmetry-of-strength during the squatting patern. This explains it all. Everything must be working perfectly together and when that happens you end up seeing a near perfect squat! Once you’ve gotten the goblet squat down, start working on the bottoms up squat and see for yourself why I call this the best squat ever!! Here is an awesome Facebook from former Minnesota Timberwolves S & C Coach Koichi Sato on why exercise is the most important tool in the toolbox when rehabbing athletes and fitness enthusiast. Love this post! “Video clips in this youtube (at 1:35 and 2:55) shows the moment when I was convinced that exercise (not manual therapy or modality) is my first option to treat pain and dysfunctions when I visited Craig Liebenson’s office. When this athlete presented complaints in his ankles, my first thought was to touch his ankles for manual therapy. Then, in my mind, I said, ‘Ok, I’m at Craig’s office. I’m not touching his ankles. 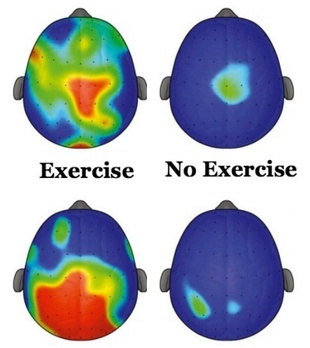 I’m going to use exercises, instead’. So I assessed his complaints with movement (squat) then proceeded with manually resisted lateral squat (2:55) and other exercises followed by a series of reassessment (i.e. CAP: Clinical Audit Process). A result was remarkable, no complaint. After he left the office, Craig told me that I was underestimating what I can do, replaying to my comment, ‘I didn’t expect it at all’. Check out the video below of Dr. Liebenson to see some of the great stuff he’ll be teaching at our Prague School To Athletic Development Seminar October 28th – 30th. This week at DSP we will be putting our adults and young athletes through the Sitting and Rising Test (SRT).The SRT was developed by Brazilian physician Claudio Gil Araujo and his colleagues. The test was developed as a way to assess the balance, flexibility and strength in their patients. What Dr. Araujo saw was that as patients aged, they became less flexible, their muscles were weaker and balance became a problem.This in turn increased their risks of crippling or deadly falls. Dr. Araujo and his team tested the method on 2002 patients aged 51 to 80, and published the results in the European Journal of Cardiology in December of 2012. The results of their studies were stunning. Make sure to take the test yourself to see where you are. I know we better see a bunch of 10’s at DSP this week! This is a MUST read for any parent contemplating whether or not it’s a good idea for their kids to begin strength training at DSP. Too many reasons not to!